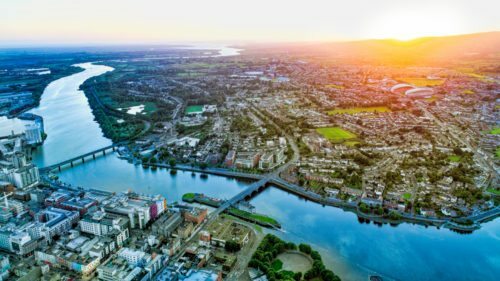 Limerick is a city where you can experience both urban and rural splendour, with the surrounding county being some of the greenest in the country. 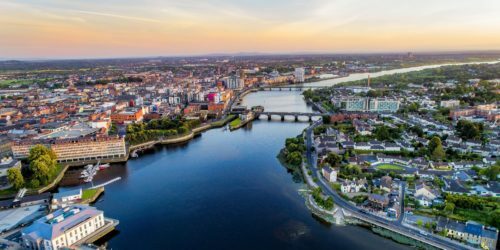 If you are looking to move, then Limerick could be the place for you! Learn about living in Limerick, as well as moving there in this guide. How much would it cost to move to Limerick? The costs of hiring a man with a van in Limerick does not differ much from the rest of the country. However, finding an exact price for your moving project is difficult because each move is unique. 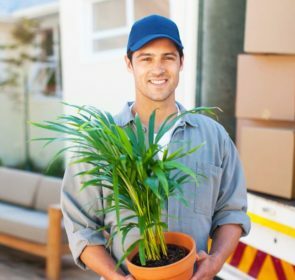 For example, the total volume of items you’ll transport, as well as the distance to your new home are factors in a company’s price calculation. Additionally, each man and van in Limerick will calculate their prices differently, so expect a great deal of variability in costs. Nevertheless, it’s a good idea to look at average costs. This way you’ll have a rough idea of what the price should be once you start contacting companies for removal quotes. 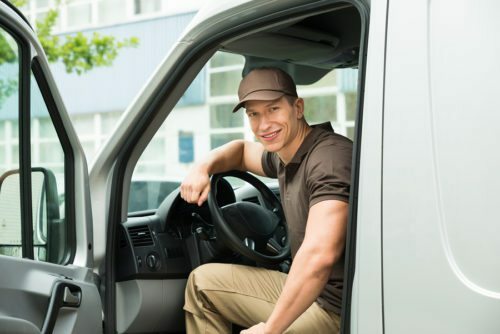 Is it possible to save money on hiring a man with a van in Limerick? Yes! You’ll need to compare the prices of multiple man with a van companies in Limerick so you’ll find the right offer for you. Complete our free and easy-to-use form to send a quote request to up to 6 companies. You’ll receive price offers in your inbox the following day, and you’ll be able to carefully examine costs, services, and profiles, potentially saving you 40% off your moving costs! Limerick is Ireland’s third-largest city after Dublin and Cork, with a population of just under 200,000, and is in the mid-west region of the country. The River Shannon runs through the county, hence the nickname for its residents, Shannonsiders. The locals are friendly and are extremely proud of their city. And for good reason too. 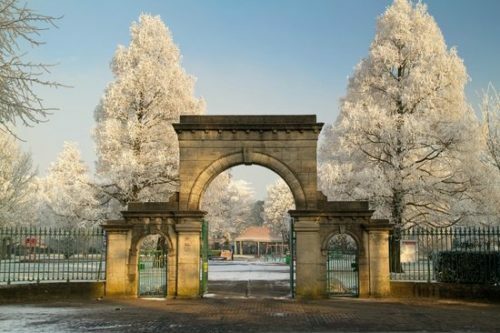 Some major points are the Hunt Museum, showcasing the works collected by the Hunt family, King John’s Castle, dating back to the 13th century, and of course, the countryside, which is full of greenery and fresh air. If you go to Limerick, you’ll also find fantastic shops and an amazing food scene. Similar to the rest of Ireland, the weather is a bit temperamental. You can expect to experience bouts of sunshine mixed in with cloudy patches and, of course, rain. Because of this, you should be prepared to wear adequate waterproof clothing to stay warm and dry. Temperatures reach an average high of 16℃ during summer months and fall to 5℃ in winter. May is when you’ll get the most sunshine, although you should expect rain throughout the year. Anyway, Limerick is not particularly known for stellar weather so be prepared! Getting around Limerick is possible through buses operated by Bus Éireann and Euro Bus Limerick. All route passes through or terminates at Limerick Centre. With a monthly pass costing an average €67, public transport is definitely affordable. 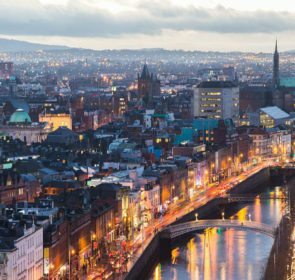 The city is also connected to nearby towns as well as other major cities around the country via train, operated by Irish Rail. In the county, there are 2 train stations: Limerick Colbert, near the city centre, and Limerick Junction, which is close to Tipperary town in the neighbouring county. Need help with your move to Limerick? Then a man with a van could be the perfect solution. Here are a few reasons why. Hiring a man and van in Limerick is usually the best option if you don’t have many items. As such, they are perfect if you are moving from a 1-bedroom apartment or studio. 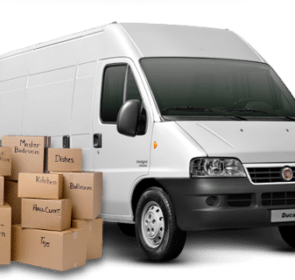 If you get a van that is just the right size for your moving project, you won’t have to rent a large vehicle which costs more than smaller models. 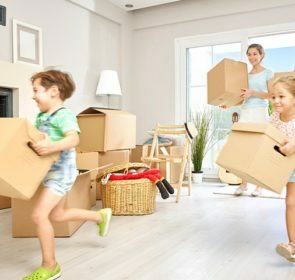 Additionally, hiring a van with 1 or 2 helpers is a quick and easy way to load your belongings and transport them to your new pad. If you choose to pay a man with a van in Limerick, they aren’t just capable of loading and transporting your items. They are also able to help with dismantling, packing, and unpacking, which usually come at an additional cost. However, the great thing is that you can choose exactly which services you want. You’ll get the service package that perfectly matches your needs. Hiring a small van with a few helpers is much cheaper than paying for the services of a larger removal company. That is because these smaller companies tend to be local businesses with lower costs. However, they might have a smaller range of vehicles and moving equipment to choose from so you’ll need to consider the pros of lower cost and the cons of less choice. How is this possible you might ask? By completing our free form to get in touch with up to 6 companies. You’ll receive prices from them within 1 working day so you have the chance to carefully compare their costs. With the right company and price, you’ll save yourself up to 40% off your moving costs. The quotes are non-binding, so you have nothing to lose!